by Susan Martin for Proven Winners. All photos courtesy of Susan Martin. It’s officially fall and soon it will be time to start putting your beds to bed for the winter. As you enjoy the fall color in your landscape, it’s worth it to take some time now to complete these five critical garden tasks to set the stage for a successful garden next spring. There is a very good reason why Mother Nature tends to send heavy rains in the fall months. 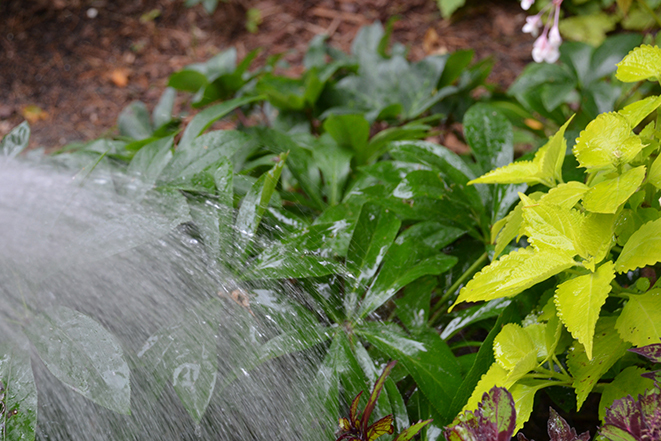 Plants that receive ample rainfall or supplemental water in the fall tend to fare much better over winter and bounce back quicker in spring. This is especially important for large trees and evergreen plants which have more surface area from which to lose water over the winter months. By heading into winter full of water, plants are more easily able to cope with winter winds and intense sun while the ground is frozen. It is critical to water newly planted trees, shrubs and perennials well into the fall. Until their root system establishes in your garden, the root ball will dry out faster than the surrounding soil. A thick layer of mulch on top of the root ball, but not touching the trunk or stems, will help to conserve moisture. Some gardeners in particularly harsh climates may choose to wrap new trees or shrubs in a protective cloth like burlap for their first winter. As the days get shorter and nights get cooler, plants tend to begin to show signs of going dormant. They may stop blooming, their foliage may turn yellow or brown and stems may fall over as the plants’ energy drains back down into its root system where it will be stored over the winter. These are all natural stages of “dormancy” or simply the plants going to sleep for the winter. Annuals: Since they only live one year, feel free to remove annual plants completely from your containers and garden whenever you are ready to part with them in the fall. Perennials: For perennials that lose their leaves in winter, it is a good idea to cut back and remove the foliage once it begins to go dormant. 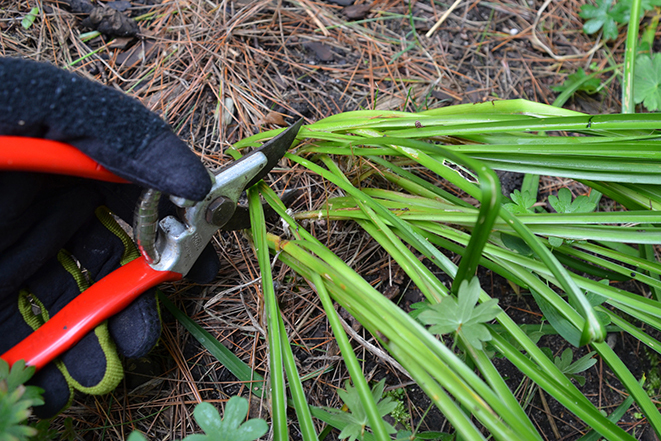 Evergreen perennials should never be cut back in fall as this can easily kill the plant. Shrubs: Most shrubs are best pruned in early spring so just clean up their foliage once it falls. It is especially important to cut back and dispose of (do not compost) any diseased plant material in the fall. Some plant diseases can overwinter in the soil, so good hygiene practices now will help to prevent problems next year. Slugs and insects like to lay their eggs in detritus on the garden floor, so cleaning it all out now will help to curb future pest issues. Fall is also the best time to rake the leaves that fall from your trees. This is especially true when you have large leaves that fall from oak, sycamore or other broad-leaved trees. Large, flat leaves tend to get very matted down when they are wet, which blocks air and sunlight from reaching the lawn or garden beneath them. If you’d like to use the leaves as mulch, shred them first. 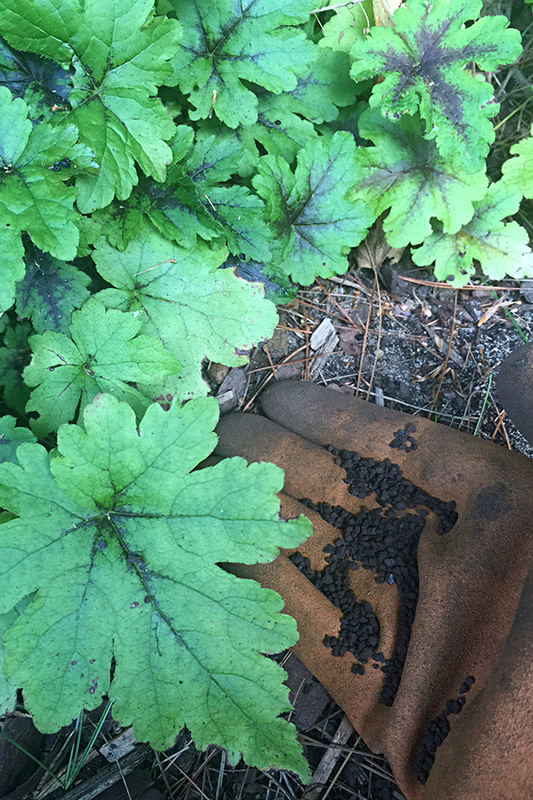 Keep in mind that oak leaves and evergreen needles tend to increase the soil acidity slightly as they break down, which most of your perennials and shrubs will enjoy but your lawn will not. Once your beds have been cleaned out, it’s much easier to find places to tuck in a few spring blooming bulbs like tulips, daffodils and crocus. If you plant them at least a month before the soil freezes, they’ll have time to set some roots before going dormant for the winter. 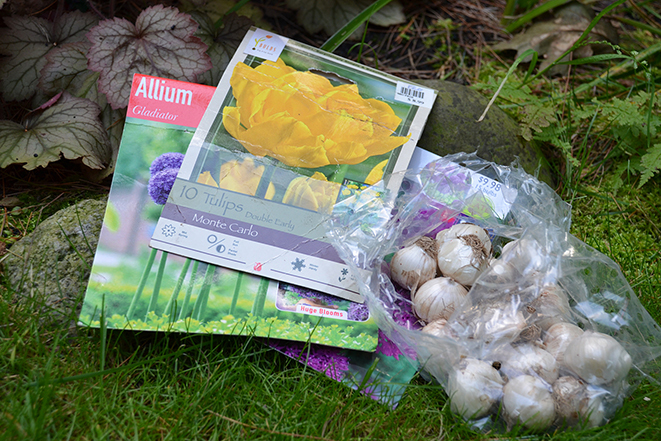 Be sure to mark where you’ve planted your bulbs so you don’t accidently dig them up in spring when planting new annuals. If squirrels and other rodents are problematic in your garden, take measures to protect your bulbs when you plant them or they may disappear before spring. Some gardeners are in the practice of only applying mulch to garden beds in spring. While that is also important, especially if your mulch has disappeared over winter, it is equally important to mulch your beds in fall. 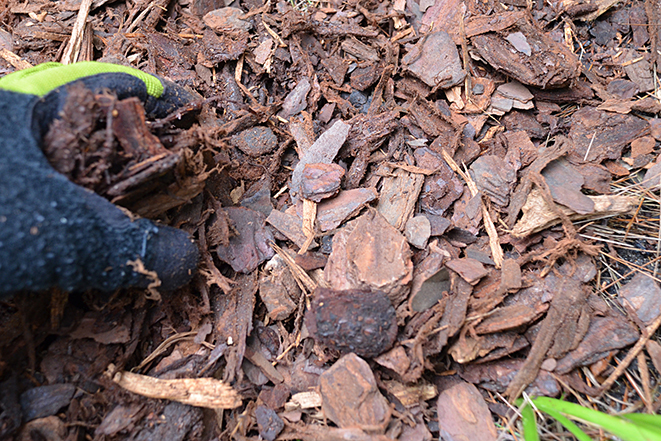 Mulch acts like a blanket that helps to regulate soil temperature. In the summer, it keeps the roots cool and in the winter it protects your plants against the freeze/thaw cycle which can make plant “heave”, or pop out of the ground. This is especially true with newly planted perennials and shrubs that have not yet anchored new roots in your garden. Mulch blocks out the sun and prevents weed seeds from sprouting. Roots need darkness to grow and weed seeds need sunlight to sprout. Mulch solves both issues at once. Mulch helps retain the moisture in the soil. Mulch will help to retain the moisture in the soil going into winter. Plants can dry out even in winter, especially evergreens that continue to lose the moisture in their foliage at a time when their roots can’t replace it because the ground is frozen. So be sure to water and mulch your beds well in fall. Finally, it is a good idea to protect your plants with animal repellant in the fall and winter months. Just because you don’t spend much time in the garden during winter doesn’t mean the critters aren’t hard at work finding food out there. They are hungry and they will eat anything if they are desperate. Mice can strip bark from woody trees and shrubs under the snow, rabbits can decimate evergreen perennials and deer will munch on almost anything. Before the snow falls, apply an animal repellant such as Plantskydd that will last through the winter months so you won’t need to reapply it when the snows run deep. Be sure to apply product to the whole plant from ground to tip to protect against all kinds of animals. DON’T fertilize perennials, shrubs or trees in fall. Doing so causes them to put on new “soft” growth that is very vulnerable to freeze damage in winter. DON’T prune trees and shrubs in fall for the same reason. DON’T let your leaves lay on your lawn all winter long. They block air from getting in, essentially smothering it. DON’T break your back doing fall cleanup! Know when enough is enough and it’s time to call in reinforcements to get the job done. Learn more about gardening tasks and find cool plants at www.provenwinners.com.